All home owners have a responsibility to people who visit their homes, or members of the public who are able to access their homes. If people can access a level other than ground level on your property, you need to be absolutely certain that they are not likely to fall off. Areas of special concern include balconies, flat roofs and in fact anywhere that is more than one metre above another level. The most common form of protection in these circumstances will be balustrades, parapet walls, and some sort of handrail. Here the main concern is that people walking to their cars, bikes or whatever form of vehicle they are driving or being transported in can do so safely. This is generally more of a problem for public buildings rather than private homes. However if there is any possible danger that someone might unintentionally walk in the path of a moving vehicle, make sure there is some sort of warning sign and lighting at night. The building regulations state that any ramp or driveway must be designed in such a way that it is “safe when used and is fit for the purpose for which it is intended”. if ramps and driveways are going to be used by pedestrians and vehicles, there should be a walkway that is at least 1,2 m wide, with a kerb that is at least 150 mm high. The diagram below shows how this works for ramps and driveways. While the building regulations simply state that property owners must control access to their swimming pools, most local authorities have much stricter rules and regulations. Remember it is ultimately the local authority that will decide whether you must fence the pool. And if you don’t comply with the local authority requirements and don’t control access, the regulations warn that you will be guilty of an offence. This is not the type of warning that is often seen in the national building regulations – so take it seriously! There are also guidelines for protecting children from the potential hazards of swimming pools in SANS 10134: The safeness of private swimming pools. 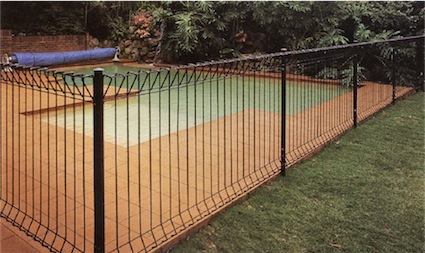 SANS 1390: Steel fencing for private swimming pools details SABS requirements for pool fencing and self-closing gates. The SANS guidelines may be followed, providing they are in keeping with your local authority requirements. We are investigating the possibility of building a small pool in garden area of out cottage in an estate at KLeurbooms river. Please advise the security necessary and if we are required to approach the Bitou Municipality for permission. The Trustees have request4ed a hedge which has been planted but will take some time to grow. I would like to know what the regulation is regarding safety beam height at exit gates at security estates. The gate closed against my car ( standard audi A4 ). The beam seems to be very high. Does not even pick up the front of my car. What will happen when the gate pins a child. Please assist. Sorry I have no idea – this is not governed by the building regulations. It might be covered by local bylaws. what is the minimum opening required for a gate opening at a town house complex as they have halved the gate and it is difficult to get in with a large car as there is literally mm on either side of the car who will be liable should contact be made with the gate and what would ahappen should an ambulance or even worse the fire brigade need to get in, please refer me to the correct regulation. Contact your local authority for the bylaws. Could you please confirm weather a 1.2m high wire mesh fence around the property will be compliant with the required Pool Protection ? My feeling is that it is not. 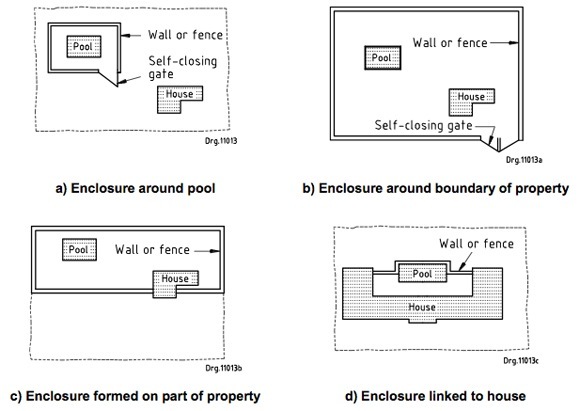 The regulations governing pool fencing can be found in local bylaws (i.e. not in the building regulations). 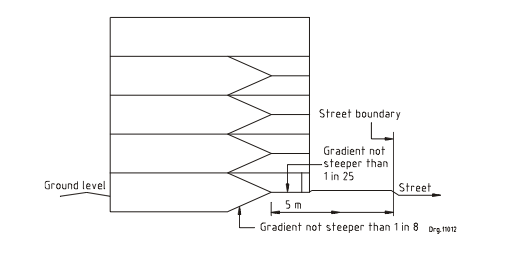 However, pool fencing in SA should be manufactured to SABS specifications (though I am not sure that this is enforced) and it should be at least 1,2 m high with gaps that are no more than 100 mm. There should also not be any parts of the fence that allow people to climb over it (cross pieces for instance). also all games should be self-closing/self-locking. What are the requirements that need to be adhered to regarding a entrance to a building that is operated with sliding doors to ensure safety for people enter the building when walking? While this is public safety, it doesn’t relate directly to the NBR. Normally there would be marks on the glass so people can see the glass, and there may be other regs in the local authority bylaws. Contact them for more info. I just lost my 3 year old son. Due to drowning in a pond. Is their laws to have to have it fenced. Yes Darren there are. I am really sorry about your loss. I rented a flat in complex, as I was driving out with 3m trailer attached to long base Toyota hilux, the van went through but halfway the sensor of the electric gate could not pick up the trailer because as explained by company dealing with motor gate , the trailer is higher than the sensor placed on the gate that’s why it was closing after the van has passed. The only way to allow the passing is for manually overriding the beam sensor to allow both the van and trailer . The complex security saw the incident and when I ask why they did not stop us and help us to pass because he knew I had to block d beam so the gate remains open but he said its my responsibility and now I’m held liable to damage on the gate , what are the regulations with regard to electric gate , I did not have I any information regarding the mechanics of the gate , there is no sign or notice regarding the auto close time and size of the trailer the beam can sense. How can I fight this ? How is it my responsibility to know how to override the gate when I’m just moving in ? I wish I could advise you but I honestly don’t know. Perhaps you should contact companies that install electric gates; they might be able to advise. My gut feeling is that they are liable and not you. Can you afford a lawyer? I was injured by the Gautrain access gates slamming me. Bombela confirmed that I did use the gates correctly. They also confirmed that they knew about the problem yet preferred not to do anything to it. 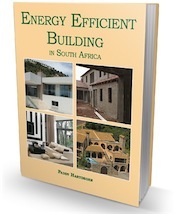 Similarly there are a number of areas where international building regulations are ignored. Trying to claim my expenses they simply indicated that their disclaimer protects them from any claim even in case of gross negligence. As I have if you cannot disclaim your safety responsibility. I was also advised that this no longer is gross negligence, as they knew about the condition it now becomes intent. Contacting the department of transport I was simply referred back to Bombela. This means they are free to expose more than 65000 people daily to unsafe conditions without any recourse for their action. Surely this cannot be true. What options do you have to take them on. Fortunately my expenses were limited, but hat happens if someone does get seriously injured or even killed because of negligence on their side. Barend this is not a building regulations issue. I suggest you contact an attorney. Alternatively you could contact someone with knowledge of the general health and safety regulations. The building next door to us is an office block busy during the day. They have been renovating it for months now during the evenings, sometimes working until midnight! We live in a complex that borders it directly. Are they allowed to do this? Who can we get to help, the police only stop them for one evening at a time. Hi Shakirah, The 3m from your house does not apply. What does apply is to not compromise the house foundations if you want your pool to be right next to the house. In this case ask the pool contractors to give you an engineers report. I don’t think so Selwyn. You don’t even need plans for swimming pools in Jhb any more. But there are safety elements in terms of access.